"Transform your webshop into a true event site or software shop with MyTicketSales"
Do you sell tickets for events? Or are you selling, pre-paid cars, X-Box live cards, Microsoft Points, FIFA Points or other types of licenses? 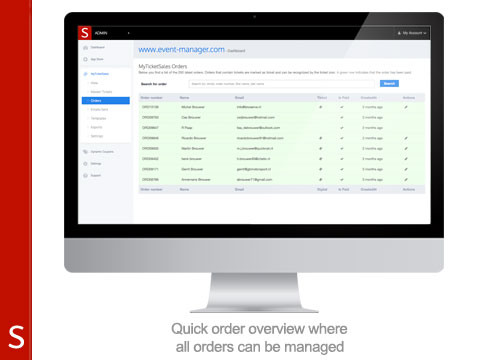 With MyTicketSales you easily automates your entire ordering process. It is easy! Create your products in your Lightspeed eCom backoffice. Is the product a ticket? Easily connect this product to a ticket in the Shappz environment. As soon as the customer ordered a "Ticket" product and paid for the order, MyTicketSales will cover the fulfillment. 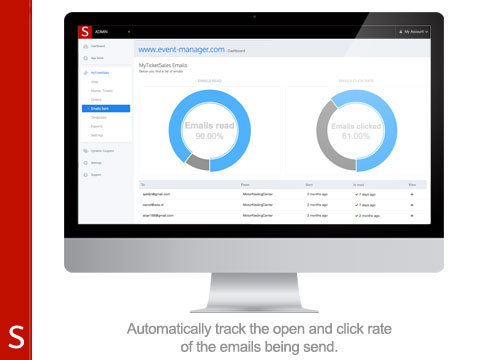 It automatically sends an order to the customer with the ordered tickets, license code or any other sort of code. I told you it is easy. MyTicketSales is build for events. Via our template editor it is relatively easy to match the design of your tickets. In addition, it is very easy to add barcodes. MyDigitalSales enabled you to sell software and other types of digital goods. 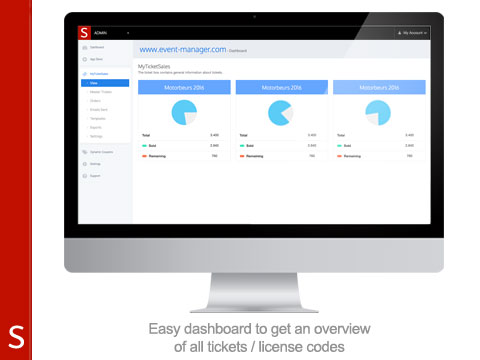 MyTicketsSales adds the opportunity to sell your license codes for the to software. What is more fun that receiving a gift card? Simply created personal giftcards by using the MyTicketSales and send out the PDF's where needed. MyTicketSales has be deisgned around selling online credits. In example, xBox live Cards, Fifa Points, iTunes Gift Cards. Please reach out for more information. 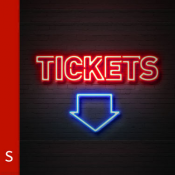 MyTicketSales is available at €19,95 per month, you will have unlimited amounts of tickets. Please read the documentation here. Questions or suggestions? Our support department is here to help you out, should you have any questions. Please contact them via [email protected].